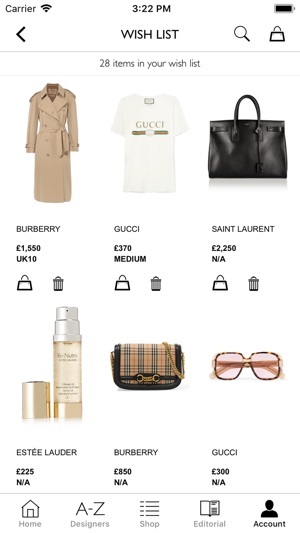 Upgrade your wardrobe for the new season with our latest app features. 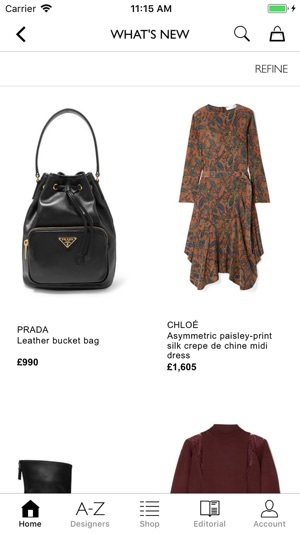 luxury fashion destination, offering more than 800 designers and 200 specialist beauty brands, plus new arrivals added to the site three times each week. 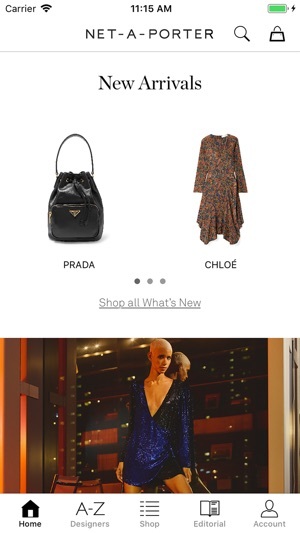 The NET-A-PORTER mobile app offers the ultimate curation of luxury fashion product and content. 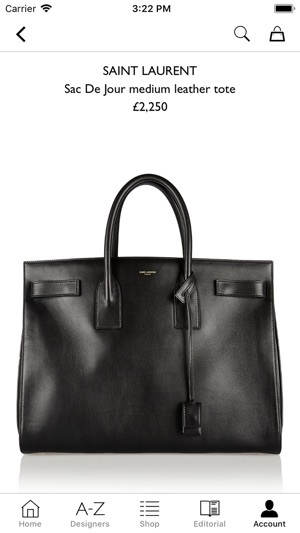 NET-A-PORTER also champions unparalleled customer service, with express worldwide shipping to more than 170 countries (including same-day delivery to Manhattan, London and Hong Kong, plus next-day delivery to the UK, US, Germany, France, Australia and Singapore), signature luxurious packaging, easy returns and multi-lingual Customer Care and Personal Shopping teams that are available 24 hours a day, 7 days a week. We’ve made a few tweaks to improve app performance and fix a few bugs, so you can shop even more easily. Enjoy! Hi there, thank you for taking the time to leave your review. It’s great to hear you enjoy shopping using our app! If you need anything in future, just let our Customer Care Team know. I have just received an order today and I felt the need to draw your attention to my delivery. The 3.1 Phillip lim embellished sandels have obviously been sent to another customer and the tissue and box were ‘rather tatty ‘ to say the least! - I feel they should not have been sent to me in that condition, the box and it’s contents did not reach me in perfect condition and did not look like a ‘new pair of expensive shoes’ very disappointed - very unusual for yourselves, normally your service is second to none. Perhaps you can enlighten me why this was? Made an order a few weeks ago and received confirmation of it plus payment was taken from PayPal. Then the order was never showing up in the app and I had to contact customer service THREE times before they answered and all they said was that the order didn’t exist (when I had the whole PayPal confirm and itemization). The items of course following their response 3 weeks later were not available anymore. Huge disappointment.